Draft: 2013, Oakland Athletics, 5th rd. Is married.....wife's name is Kaitlin ... Graduated from West Springfield (VA) High School, where he also played football and basketball ... Attended the University of Mississippi, where he went 10-0 with a 2.03 ERA as a junior to earn Collegiate Baseball All-America honors. Began the season at Triple-A Nashville, where he went 3-2 with a 2.27 ERA and 11 saves in 34 games (1 start).....held opponents to a .130 batting average with 65 strikeouts in 39.2 innings ... Was a Pacific Coast League All-Star ... Was traded by Oakland to New York-NL, along with INF Will Toffey and International Bonus Pool money, in exchange for RHP Jeurys Familia on 7/21 ... Made 4 relief appearances at Triple-A Las Vegas after the trade and went 1-0 with a 1.69 ERA and 1 save before his contract was selected by the Mets on 8/2 ... Went 0-1 with a 10.13 ERA in 7 relief appearances with the Mets before landing on the 10-day disabled list on 8/17 with a strained right hamstring ... was transferred to the 60-day DL on 9/8, ending his season ... Was traded to Milwaukee, along with RHP Adam Hill and INF Felix Valerio, in exchange for OF Keon Broxton on 1/5/19. Began the season at Triple-A Nashville but was promoted to Oakland May 3 and made his Major League debut…compiled a 4.70 ERA in seven relief appearances before going on the disabled list May 24 with a strained right shoulder…made five rehab appearances before undergoing thoracic outlet surgery on his right arm Aug. 14…missed the remainder of the season…allowed a .258 opponents batting average, including .211 (4-for-19) against right-handed hitters and .333 (4- for-12) against left-handers…yielded a .143 average with the bases empty, .353 with runners on… opponents hit .500 with runners in scoring position…did not allow a home run in 7.2 innings… allowed 1-of-2 (50.0%) inherited runners to score…first batters faced were 2-for-6 (.333) with a walk…made his ML debut May 3 at Minnesota (0.1 ip, 2 h, 1 r, 1 er, 1 hb)…entered the game to start the sixth inning with the A's trailing 6-3 and allowed a double to the first batter he faced (Eduardo Escobar), followed by an Eddie Rosario RBI single…his first strikeout came on May 5 against Detroit when he struck out Victor Martinez with one out in the ninth inning…allowed two runs on three hits in 2.0 innings in his last outing on May 23 against Miami…was placed on the 10-day disabled list the next day…was sent to Single-A Stockton to start a rehab assignment July 20 and pitched in two games on July 20 and 23 against Modesto (2.0 ip, 3 bb, 6 so)… was transferred to Nashville July 25 and was also moved to the 60-day DL that day…appeared in three games with the Sounds (3.2 ip, 5 h, 4 r, 4 er, 1 bb, 8 so) before his rehab assignment was halted Aug. 6…had thoracic outlet surgery on his right arm Aug. 14 in Dallas…the surgery was performed by Dr. Greg Pearl. MINORS: Was 1-1 with three saves and a 4.15 ERA in 11 appearances with Nashville and tossed 2.0 scoreless innings in two games with Stockton…combined for a 1-1 record, three saves and a 3.60 ERA in 13 minor league games overall…struck out 28 batters in 15.0 innings (16.80 per nine innings) but surrendered three home runs…allowed a .220 opponents batting average, including .200 (7-for-35) against right-handed hitters compared to .250 (6-for-24) against lefties…yielded a .158 average with runners in scoring position…tossed at least one inning in 12 of his 13 appearances…logged a season-high 2.0 scoreless innings May 1 against New Orleans, a figure he would match July 28 against Las Vegas…was 0-1 with three saves and a 1.93 ERA in eight games with Nashville at the time of his May 3 promotion to Oakland…walked a season-high two batters in the second game of his rehab assignment for Stockton on July 23 against Modesto…struck out a season-high four batters for Nashville on July 28 against Las Vegas…allowed a season-high three runs on a season-high three hits in his final appearance July 31 against Salt Lake (1.0 ip, 2 so). Spent most of the season at Double-A Midland but pitched at three different levels in the A's farm system and was a combined 1-1 with 14 saves, a 2.65 ERA and .194 opponents batting average in 45 relief appearances with Single-A Stockton, the RockHounds and Triple-A Nashville…the saves were the most in the A's farm system and a career-high…also had career highs in strikeouts (65), games, innings pitched (54.1) and walks (28)…averaged 10.77 strikeouts per nine innings…surrendered just three home runs, an average of 0.50 per nine innings…his opponents batting average included a .186 (13-for-70) mark against left-handed pitching compared to .198 (23-for-116) against right-handers…allowed a .207 batting average and two of his three home runs with the bases empty, .175 with runners on base…opponents hit .214 with runners in scoring position but that marked dropped to .130 with RISP and two outs…converted 14-of-15 (93.3%) save opportunities, including each of his final 14 chances…allowed 2-of-9 (22.2%) inherited runners to score…had a 0.73 ERA in the ninth inning…had a 0.93 ERA in seven day games, a 3.02 ERA in 38 contest at night…tossed at least one inning in 42 of his 45 outings, including two or more nine times. 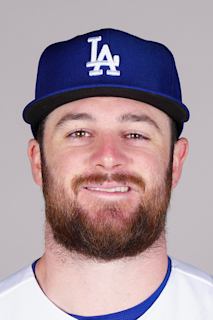 Made his Double-A debut with Midland and spent the entire season with the RockHounds…was 2-0 with four saves and a 4.18 ERA in 24 relief appearances in a season shortened by two stints on the disabled list with elbow problems…struck out 36 batters in 32.1 innings, an average of 10.02 per nine innings…surrendered just two home runs…allowed a .283 opponents batting average, including .268 against right-handed hitters compared to .304 against left-handers…both of the home runs he surrendered were solo shots…allowed 2-of-3 (66.7%) inherited runners to score…converted 4-of-6 (66.7%) save opportunities…tossed at least one inning in each of his 24 appearances, including two or more eight times…did not allow a run in four of his first five games (1.50 ERA)…converted each of his three save opportunities in six appearances in April…struck out a season-high five batters in 2.0 innings May 10 against Frisco…fanned at least one batter in each of his 10 outings in May and had 23 strikeouts in 16.1 innings in the month…was credited with his first professional win June 2 at Tulsa…blew the save in the eighth inning before Midland scored once in the ninth for a 6-5 win…was 1-0 with a 4.45 ERA and .286 opponents batting average in 20 appearances when he was placed on the disabled list June 19 with a strained right elbow…was reinstated July 8 and had a win, a 2.25 ERA and .267 opponents batting average in four games before returning to the DL with a strained right elbow July 21… missed the remainder of the season. Spent most of the season at Single-A Beloit where he was 0-4 with a 5.06 ERA in 20 games (seven starts)…spent the final month with Single-A Stockton and had no decisions and a 4.22 ERA in nine relief appearances…was a combined 0-4 with four saves and a 4.89 ERA in 29 games (seven starts)…had career highs in games started, losses, hits (54), runs (36) and home runs (7)… struck out 62 batters in 53.1 innings, an average of 10.46 per nine innings…went 0-4 with a 7.01 ERA over his first seven appearances of the season, all starts…his final 22 appearances came in relief and he had no decisions, four saves and a 2.93 ERA out of the bullpen…allowed 5-of-17 (29.4%) inherited runners to score and converted 4-of-5 (80.0%) save opportunities…allowed a .252 opponents batting average, including .220 against right-handed hitters compared to .292 against left-handers…yielded a .214 average with runners on base, including .169 with runners in scoring position…went 0-2 with a 7.71 ERA in three starts before he was placed on the disabled list April 16 with a strained left oblique muscle…was reinstated May 12…compiled a 1.42 ERA in five relief appearances in June and then posted a 2.53 ERA with all four of his saves in eight games in July…was transferred to Stockton July 31…made one postseason appearance for the Ports (0.2 ip, 2 h, 1 r, 1 er, 2 so, 13.50 ERA). Had no decisions, two saves and a 4.15 ERA in 10 games (five starts) in his professional debut with the A's affiliate in the Arizona Rookie League and Single-A Vermont…struck out 28 batters in 21.2 innings, an average of 11.63 per nine innings…allowed a .235 opponents batting average, including .212 against right-handed hitters compared to .273 against left-handers…opponents hit .217 with runners in scoring position…yielded a .136 batting average and .174 onbase percentage to batters leading off an inning…made his pro debut with a start on July 3 at the Reds Arizona Rookie League squad (1.0 ip, 1 r, 1 er, 2 bb, 1 so)…that was his only appearance before he was transferred to Vermont July 5…had a 3.92 ERA in nine games (four starts) with the Lake Monsters…recorded his first professional save July 19 against Aberdeen (3.0 ip, 1 bb, 6 so)… had a 1.86 ERA over his first eight games with Vermont…was rated as the A's No. 8 prospect by Baseball America following the season. April 4, 2019 Milwaukee Brewers transferred RHP Bobby Wahl from the 10-day injured list to the 60-day injured list. Torn ACL in right knee. March 27, 2019 Milwaukee Brewers placed RHP Bobby Wahl on the 10-day injured list retroactive to March 25, 2019. Torn ACL in right knee. November 2, 2018 New York Mets activated RHP Bobby Wahl from the 60-day disabled list. September 8, 2018 New York Mets transferred RHP Bobby Wahl from the 10-day disabled list to the 60-day disabled list. Right hamstring strain. August 17, 2018 New York Mets placed RHP Bobby Wahl on the 10-day disabled list. Right hamstring strain. August 2, 2018 New York Mets selected the contract of RHP Bobby Wahl from Las Vegas 51s. July 22, 2018 RHP Bobby Wahl assigned to Las Vegas 51s. July 21, 2018 New York Mets traded RHP Jeurys Familia to Oakland Athletics for RHP Bobby Wahl, 3B Will Toffey and Future Considerations. January 10, 2018 Oakland Athletics invited non-roster RHP Bobby Wahl to spring training. November 20, 2017 Oakland Athletics sent RHP Bobby Wahl outright to Nashville Sounds. November 6, 2017 Oakland Athletics activated RHP Bobby Wahl from the 60-day disabled list. July 25, 2017 Oakland Athletics sent RHP Bobby Wahl on a rehab assignment to Nashville Sounds. July 25, 2017 Oakland Athletics transferred RHP Bobby Wahl from the 10-day disabled list to the 60-day disabled list. Strained right shoulder. July 20, 2017 Oakland Athletics sent RHP Bobby Wahl on a rehab assignment to Stockton Ports. May 24, 2017 Oakland Athletics placed RHP Bobby Wahl on the 10-day disabled list. Strained right shoulder. May 3, 2017 Oakland Athletics recalled RHP Bobby Wahl from Nashville Sounds. May 2, 2017 Nashville Sounds placed RHP Bobby Wahl on the reserve list. March 13, 2017 Oakland Athletics optioned RHP Bobby Wahl to Nashville Sounds. November 18, 2016 Oakland Athletics selected the contract of Bobby Wahl from Nashville Sounds. October 3, 2016 Nashville Sounds activated RHP Bobby Wahl from the 7-day disabled list. September 7, 2016 Nashville Sounds placed RHP Bobby Wahl on the 7-day disabled list retroactive to September 3, 2016. August 8, 2016 RHP Bobby Wahl assigned to Nashville Sounds from Midland RockHounds. April 17, 2016 RHP Bobby Wahl assigned to Midland RockHounds from Stockton Ports. April 4, 2016 RHP Bobby Wahl assigned to Stockton Ports from Midland RockHounds. September 24, 2015 Midland RockHounds activated RHP Bobby Wahl from the 7-day disabled list. July 21, 2015 Midland RockHounds placed RHP Bobby Wahl on the 7-day disabled list. July 8, 2015 Midland RockHounds activated RHP Bobby Wahl from the 7-day disabled list. June 22, 2015 Midland RockHounds placed RHP Bobby Wahl on the 7-day disabled list. April 7, 2015 RHP Bobby Wahl assigned to Midland RockHounds from Stockton Ports. March 5, 2015 RHP Bobby Wahl assigned to Oakland Athletics. July 31, 2014 RHP Bobby Wahl assigned to Stockton Ports from Beloit Snappers. May 12, 2014 Beloit Snappers activated RHP Bobby Wahl from the 7-day disabled list. April 16, 2014 Beloit Snappers placed RHP Bobby Wahl on the 7-day disabled list. April 1, 2014 RHP Bobby Wahl assigned to Beloit Snappers from Vermont Lake Monsters. July 8, 2013 RHP Bobby Wahl assigned to Vermont Lake Monsters from AZL Athletics. July 3, 2013 Bobby Wahl assigned to AZL Athletics. June 21, 2013 Oakland Athletics signed RHP Bobby Wahl.